Editing Prices are going up on January 1, 2016. The prices go into effect for every manuscript done on and after January 1, 2016. The price goes into effect for every author, new and established. The rate increase is .0005 on every package. The common rates through the Editorial Freelancers Associations are $40-60 an hour with the norm being an accepted ONE to six pages done in an hour. 250 words is considered a page. At my HIGHEST rate, six pages at 250 words a page only adds up to $12. I strive to keep my prices affordable for independent authors. It is my goal to help every book possible achieve its greatest potential, despite budget. Rate increases are necessary to keep a business running, but never will my prices jump to unachievable levels. I look forward to working with you in the coming year. 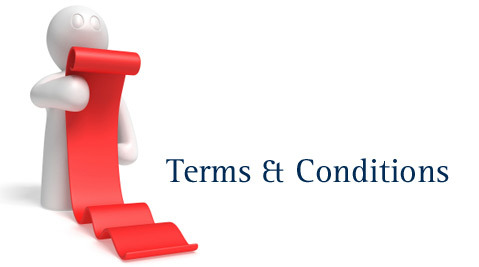 I occasionally update my Terms and Conditions. It is a client’s responsibility to occasionally glance at it to see if anything has changed. HOLIDAYS and holiday weekends DO NOT count toward the estimated amount of time given to edit your manuscript. Those times are spent with my family. We always take a vacation during the week of Thanksgiving and a week in the summer. Please be respectful of those times. If any of those fall during your time period, please be aware of this. Example: If you are given a time period over Christmas, please be aware the holidays will interfere with the edit time. Times given are estimates unless completely firmed up by way of a pre-order publication date. Two-week turnarounds are no longer given. Manuscripts are given my complete attention and are turned over in as timely a manner as possible. Please be patient. If you have any questions regarding this post, or an editing slot, please contact me. Putting your manuscript into someone else’s hands is a scary task. 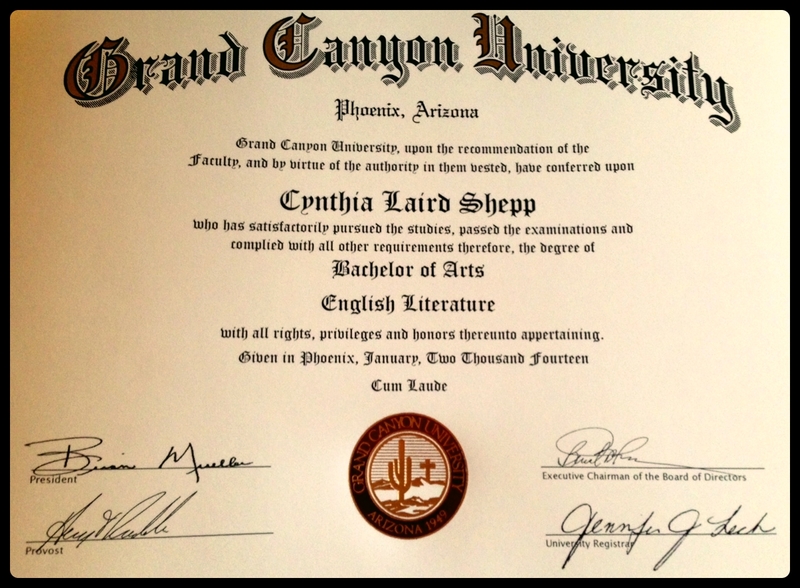 With two years’ experience, a BA in English/Literature, and over one hundred edited books, this is where I can help. My pledge is to treat your book with the respect it deserves, working with you to polish your dream into a reality. 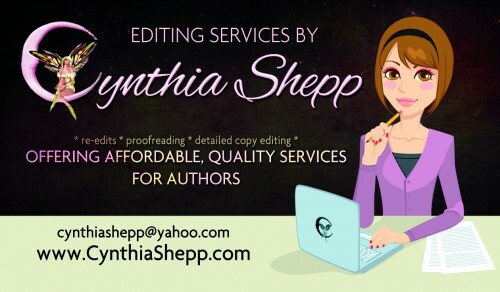 Everything from proofreads to detailed copy edits, and even money-saving packages, I can give you the best service possible at an affordable price. Proofreading is done on a final draft and includes line-by-line correction of spelling, grammar, and minor sentence structure issues. Each proofread receives at least two read throughs before being sent back to the author. This package does not include second edit after author reviews changes. Anything under 20,000 words is automatically $80. Copy Editing is done on a final draft and includes detailed, line-by-line editing for sentence structure, grammar, spelling, and, if needed, other issues that do not require major changes, such as plot consistency, character analysis, and style. Each detailed copy edit receives at least two read throughs before being sent back to the author. This package does not include second edit after author reviews changes. This is the package I recommend most for every author, as well as my best-selling and best-value package. It also includes a free blurb edit ($25 value). The Detailed Copy Editing and Proofread Package combines both services. This package has two different steps. 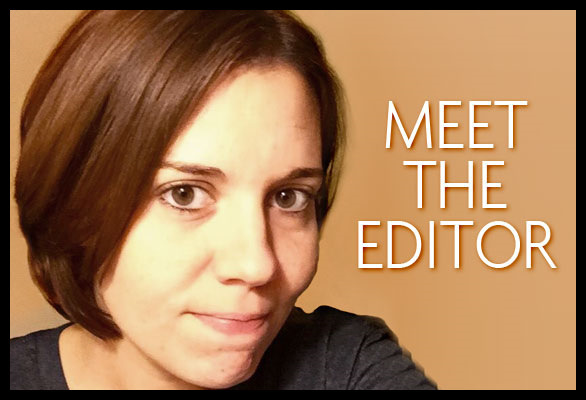 First, Detailed Copy Editing will be done to a manuscript and sent back to the author. The author will then make all the changes they need to based on offered suggestions. Once the author has finished this stage and sent it back, a thorough Proofread will be done on the finished product. Please refer to the above explanations for each service to see what they entail. This is the most cost-effective package if you desire both a detailed copy edit as well as a final proofread after suggested changes have been made. This package gives the most-polished end product. 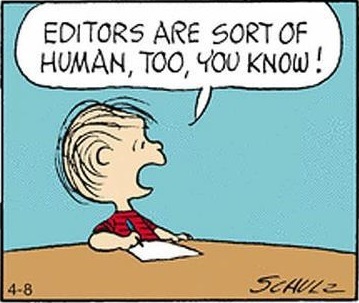 It is the author’s responsibility to supply the blurb at the time of the edit. Anything under 20,000 words is automatically $150. PAYMENT is accepted up front. An invoice is sent through PayPal when I receive the manuscript. No work will be done until invoice is paid in full. PayPal fees are calculated and added to final bill. A $100 cancellation fee will be charged if the client cancels their time slot less than a week before their date. A $50 cancellation fee will be charged if the client cancels their time slot less than two weeks before their date. This fee is strictly enforced. *If an author contacts me and makes other arrangements to reschedule or cancel before the two-week mark, there is no fee. Be respectful of time and let me know two weeks in advance if you cannot keep your spot. HOLIDAYS and holiday weekends DO NOT count toward the estimated amount of time given to edit your manuscript. Those times are spent with my family. We always take a vacation during the week of Thanksgiving. Please be respectful of that time. If any of those fall during your time period, please be aware of this. Example: If you are given a time period over Christmas, please be aware the holidays will interfere with the edit time. Times given are estimates unless completely firmed up by way of a pre-order publication date. Sometimes, life happens. Manuscripts are given my complete attention and are turned over in as timely a manner as possible. Please be patient. To contact me about availability, questions, or to submit your manuscript, please email me at cynthiashepp@yahoo.com. Please be aware that my schedule fills up quickly. For assurance of a spot, a 4-6 week pre-schedule is necessary. I have no spots left in 2013. I am scheduling for next year, if interested. Thank you! Manuscripts should be submitted in Times New Roman, size 12 font, and double spaced. Copy Editing is done on a final draft and includes detailed, line-by-line editing for sentence structure, grammar, spelling, and, if needed, other issues that do not require major changes, such as plot consistency, character analysis, and style. I strongly recommend this option. The Detailed Copy Editing and Proofread Package combines both services into one. This package has two different steps. 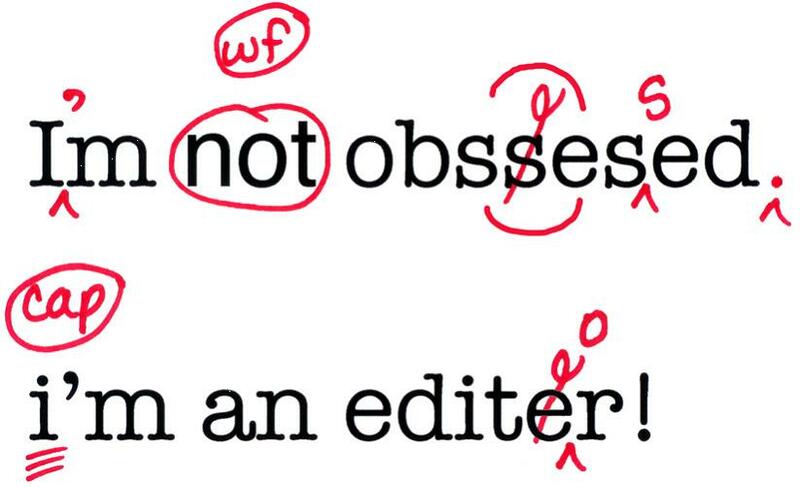 First, Detailed Copy Editing will be done to a manuscript and sent back to the author. The author will then make all of the changes needed and re-write sections that have been suggested need work. Once the author has finished this stage and sent it back, a thorough Proofread will be done on the finished product. Please refer to the above explanations for each service to see what they entail. This is the most cost-effective package if you desire both a detailed copy edit as well as another edit after the changes have been made. 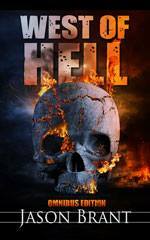 I am the editor and compiler of Apocalypse: An Anthology by Authors & Readers, Paranormal Anthology with a TWIST, and Stalkers: A Collection of Thriller Stories. You can find these on Amazon. Thank you very much and I look forward to hearing from you!